Nevada residents might be prepared to discuss who will receive what assets and who will become the guardian of any minor children. However, there could be some issues that they might not consider when it comes to estate planning. They need to consider what will happen to the family pet and their online assets as well. What happens to digital assets after death is an area that remains unsettled under the law. Therefore, it is up to Nevada residents to make sure that some provision is made for each account, even if it is to identify each one and provide a username and password for use after death. This information can be kept in a secure place that is identified in the will so that it can be quickly located. 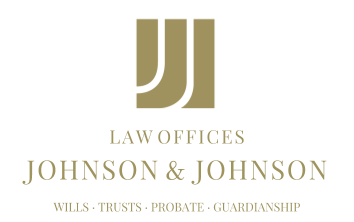 Determining how loved ones would access each account prior to death could also be helpful since it might otherwise be necessary for them to spend time and money in court obtaining access to an online asset. Further, people need to consider what will happen to a pet after death. For many people, pets are part of the family, and as such, they need to be provided for should anything happen to the owner. An individual who agrees to take over the care of the animal can be named in the will, and a trust could be set up to provide for its care and needs. Estate planning can cover nearly any aspect of a person’s life, and the documents can be tailored to his or her unique circumstances. They will need to be drafted and executed in accordance with current law, however, in order to be considered valid when needed. Therefore, it is a good idea to use the services of an experienced estate planning attorney to prepare and record the documents.